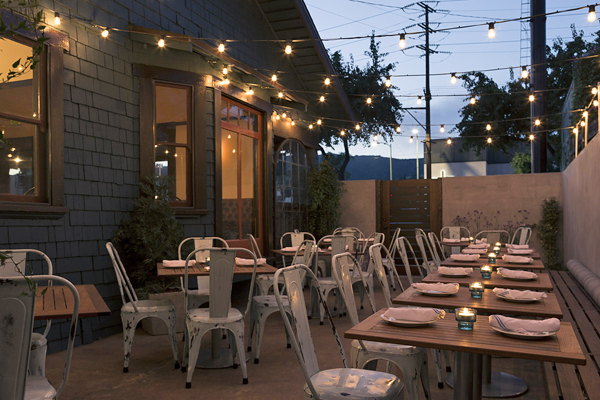 Situated in a 1911 Craftsman bungalow, the Little Beast is a neighborhood restaurant located in the heart of Eagle Rock. Offering both indoor and outdoor seating, the Little Beast serves modern American fare. Intended for sharing, the menu is comprised of small plates and large mains with several unique daily specials. Private Room Details : Our Backyard is the perfect location for your next private event for up to 25 people. This space is available at no extra charge to you with certain limitations. Parking Details : We offer valet parking for $4 per car. The area also offers plenty of street parking on Colorado Blvd and surrounding residential streets.